Dental implants are an innovative treatment that utilises small titanium screws that are biocompatible with your jawbone material. These devices are surgically placed at the site of tooth loss. Over a period of months the jawbone gradually heals around the screw, effectively fusing with it to create a powerful foundation for your new tooth. 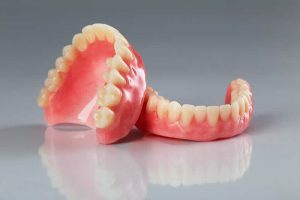 Once this process is complete we are able to anchor your restoration such as a crown, bridge or denture to the implant for a fully functional restoration! Your comfort will be improved, allowing you to eat, laugh, talk and smile without any uncertainties. Dr Mumford attended his first Australian Congress of Oral Implantology in 1986 so is very experienced in this field. To optimise treatment we often co-ordinate with other experienced professionals in this field,and only use premium products.